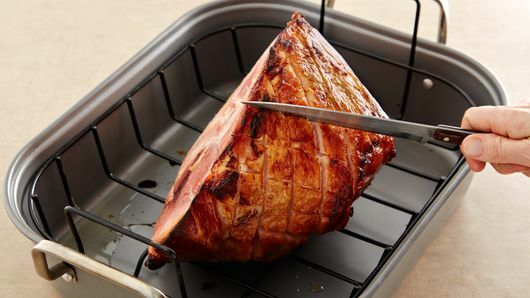 Cross-hatching the surface of the ham before applying the glaze ensures that the ham catches as much glaze as possible. This glaze also works on your favorite boneless ham. 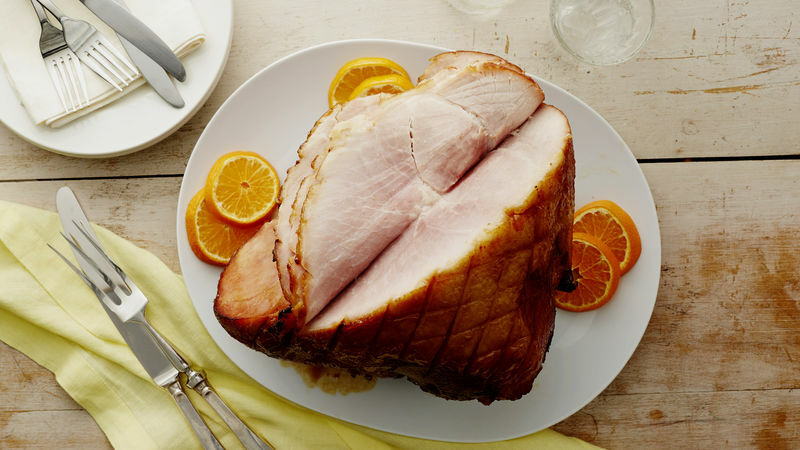 Make your ham extra special with a delicious twist by adding your favorite fruit preserves or juice to your glaze. Hosting a get-together? 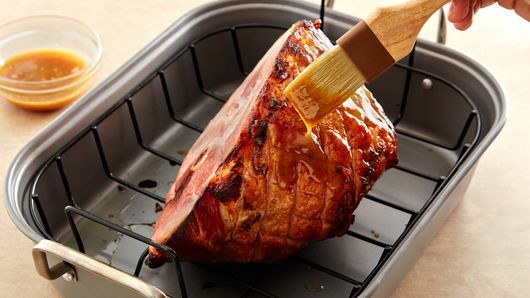 This easy baked ham recipe will wow your guests with its sweet glaze made from honey, Dijon mustard and light brown sugar. When choosing the right ham for your table, it’s important to keep two things in mind: size and type. A good estimate for how much you can prepare for your guests is a ½ lb. of ham per person. This recipe feeds 12 to 14 people depending on the size of ham you use. 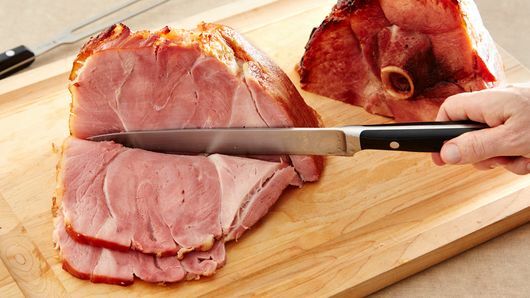 Avoid supermarket hams that come with liquid added. Instead, focus on hams with “no water added” or “with natural juices” on the label to get the most meat for your money. 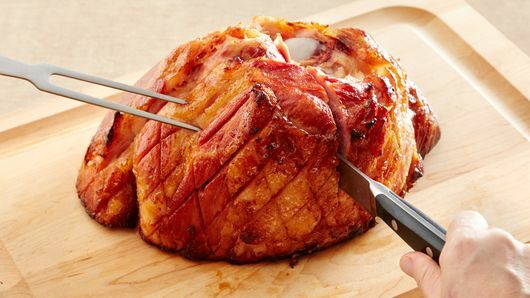 While a boneless ham may seem easier for eating, choosing a bone-in ham will yield better tasting results. It also serves as a great reference to check your ham for doneness. Bonus, you can even use the leftover bone to flavor broths and soups in the future! From turning leftovers into dinner to rolling them up into appetizers, there are even more delicious and simple ways to use ham in your next meal. Need a refresher? 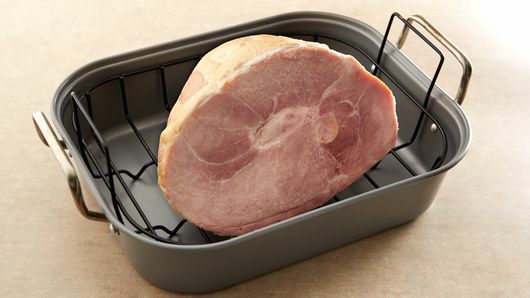 We break down the best method to cook ham in the oven in our comprehensive how-to guide. You’ll be a pro in no time.